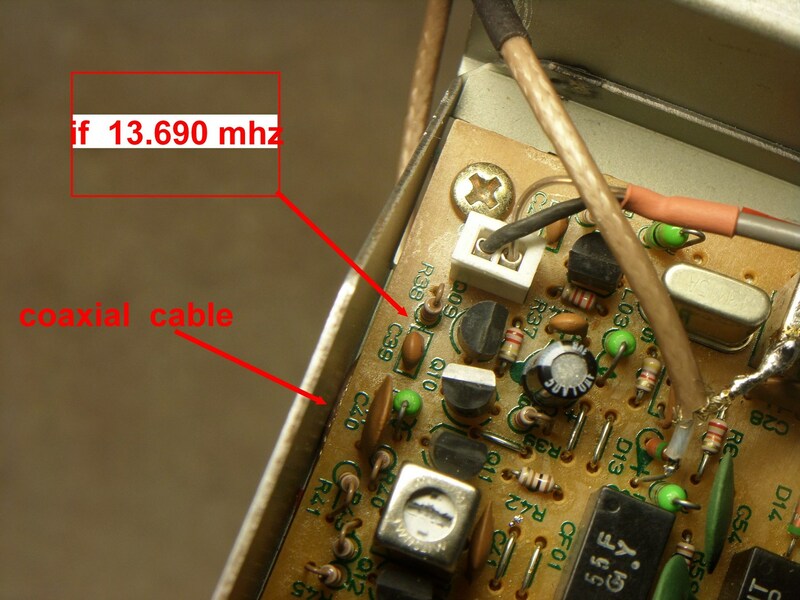 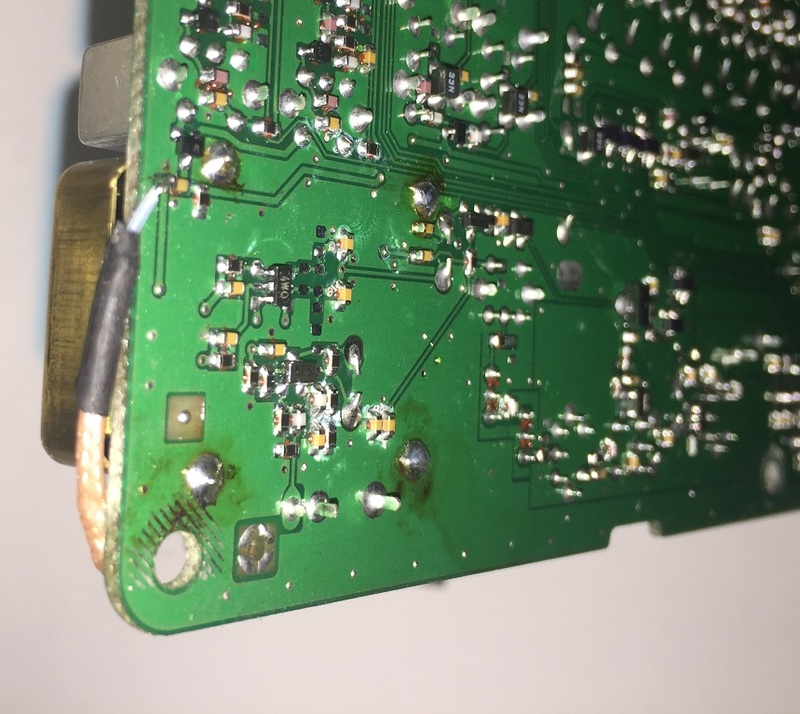 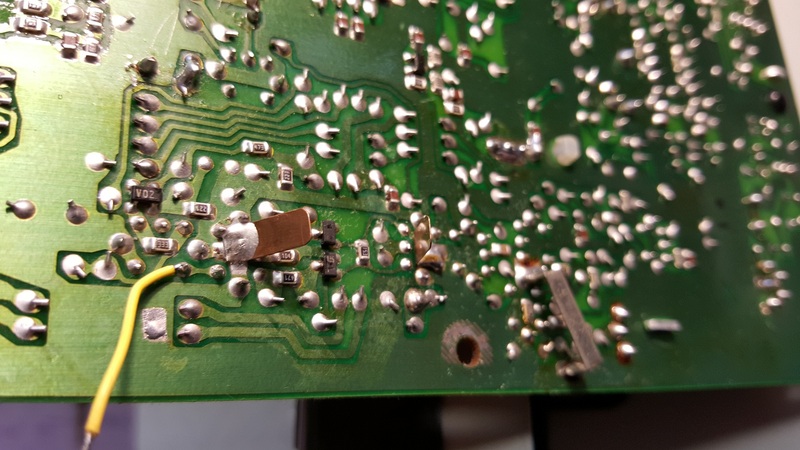 Output cable from PAT terminated on SMA socket – FT817. 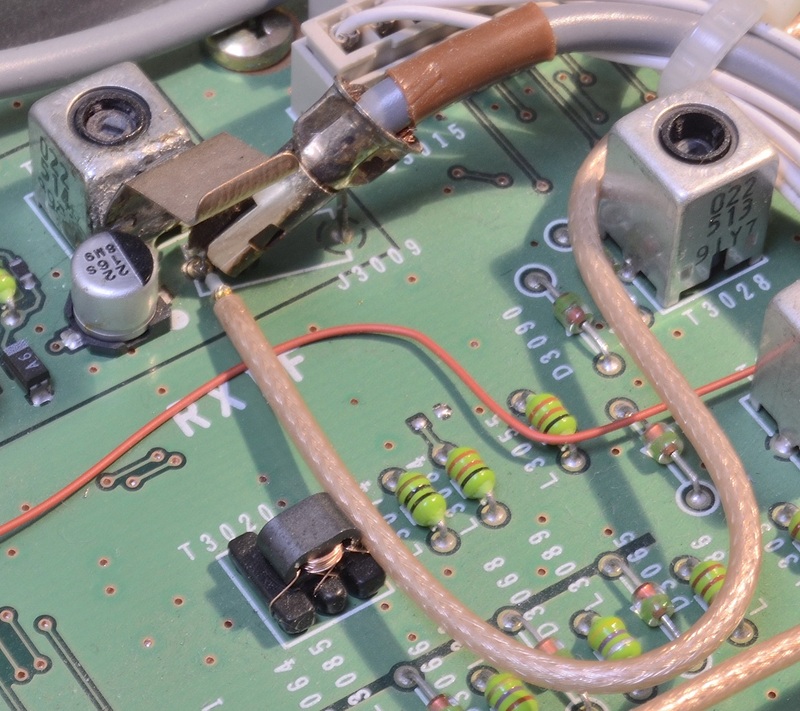 Note how braid is left intact, rather than being formed into a pigtail – this is a better method for PTFE cables. 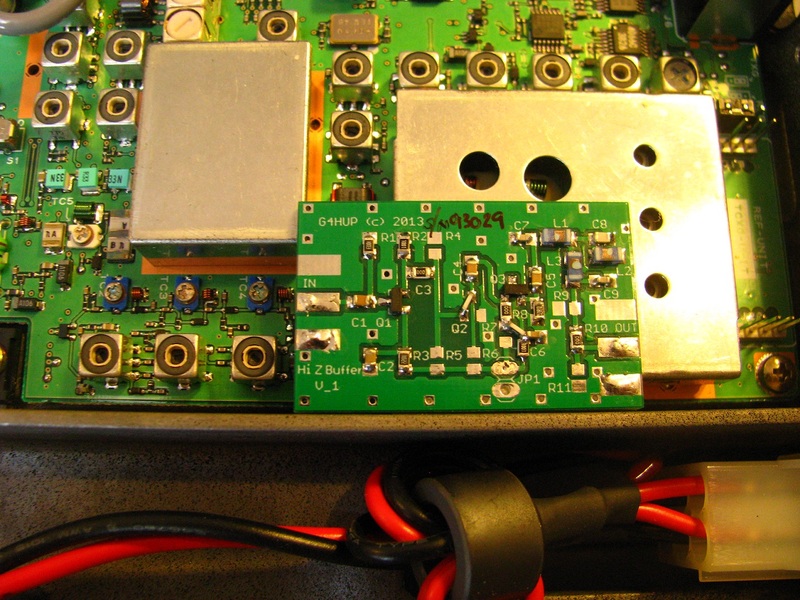 W8XDR PAT installed in FT857. 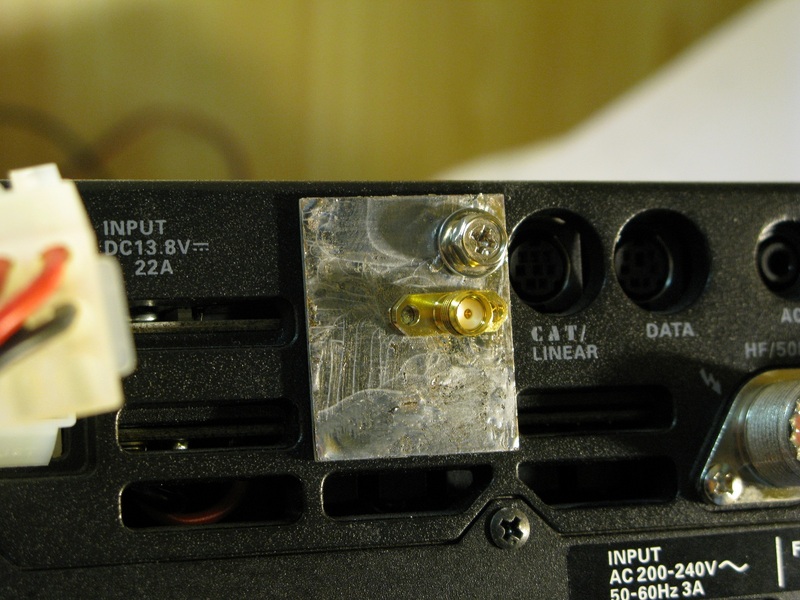 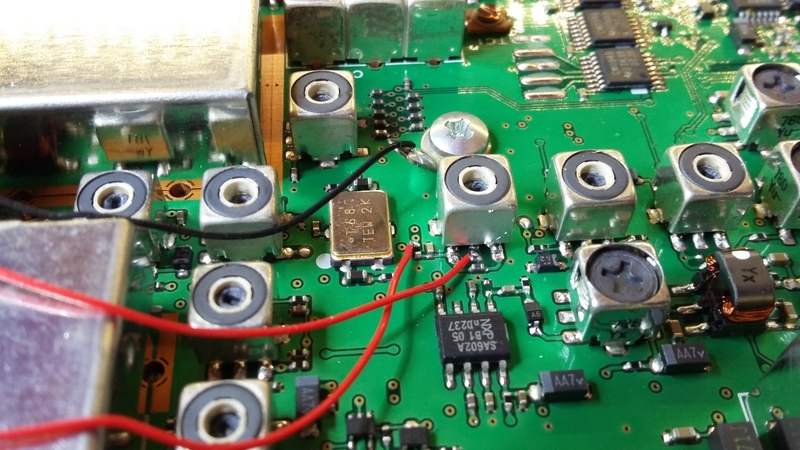 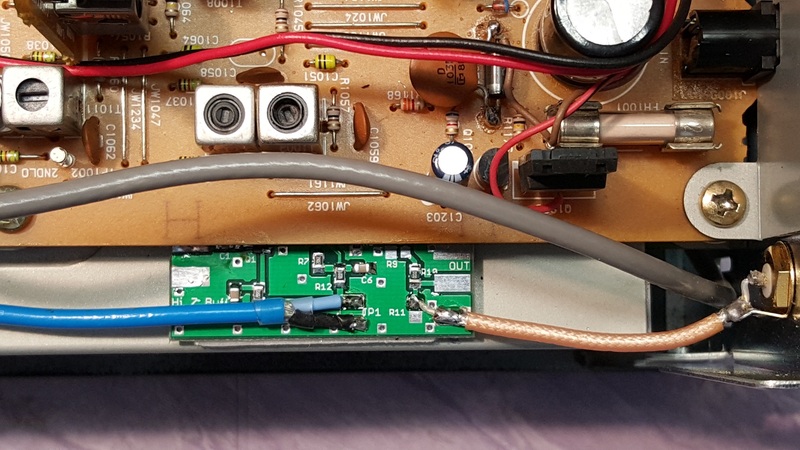 I don’t recommend coax for the PAT input connection as the parallel capacitance is high, and could affect tuned transformers. 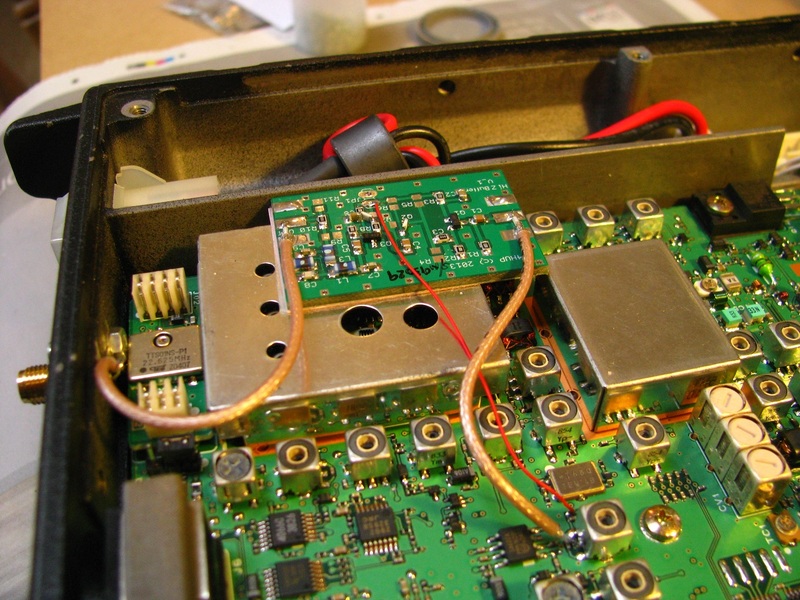 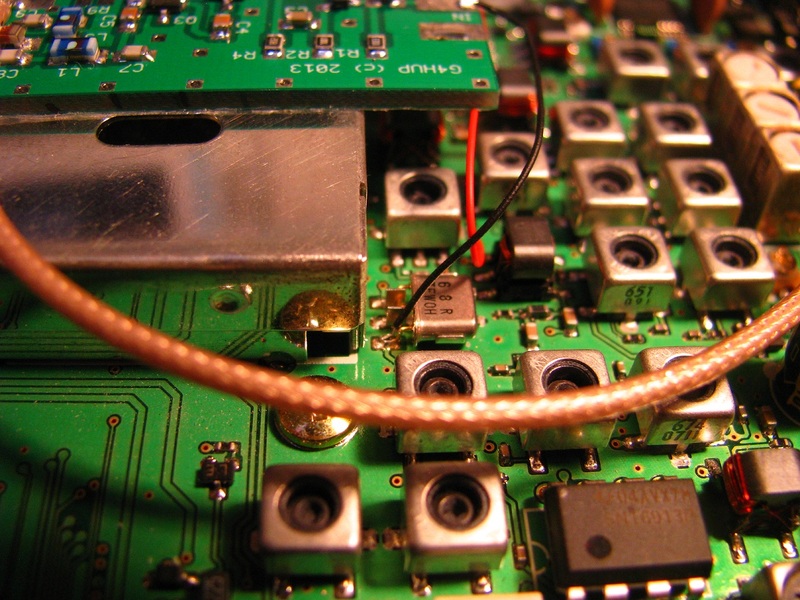 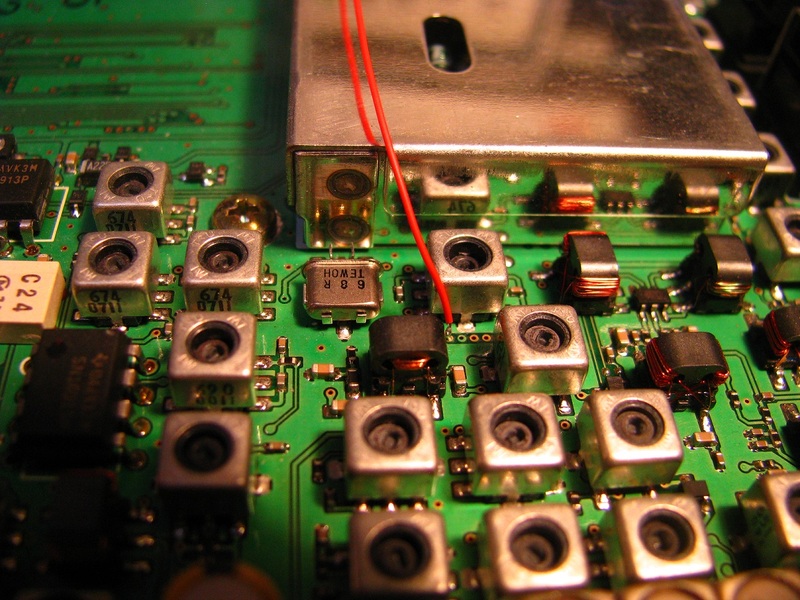 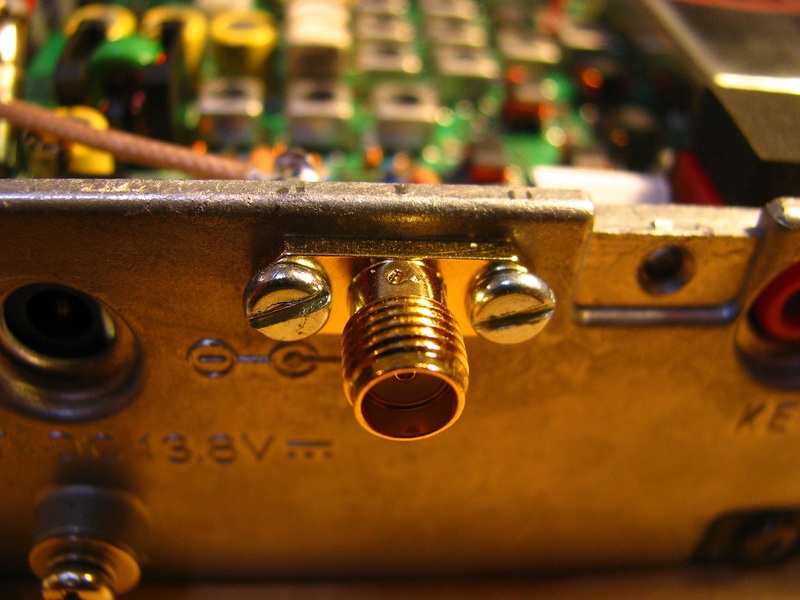 Detail of the connection points FT857. 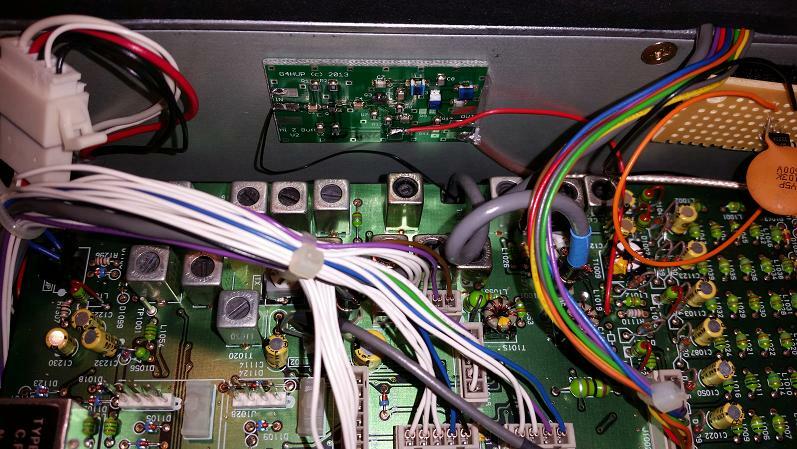 Black is Ground, left hand red is RxB and right hand red is PAT input. 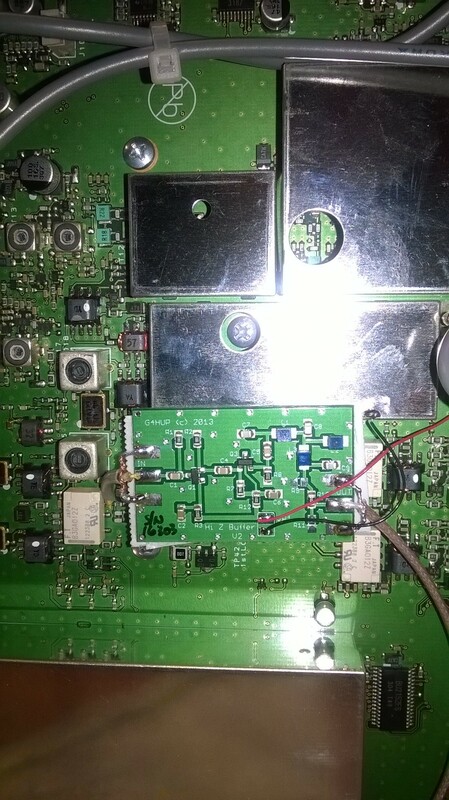 IZ2ZQG. 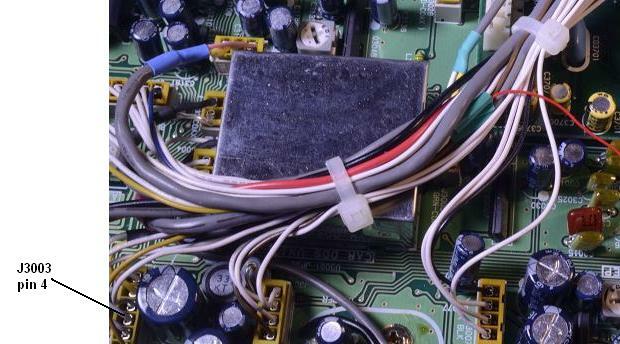 I note that all three of these users have decided to mount the PAT board on the same screen can. 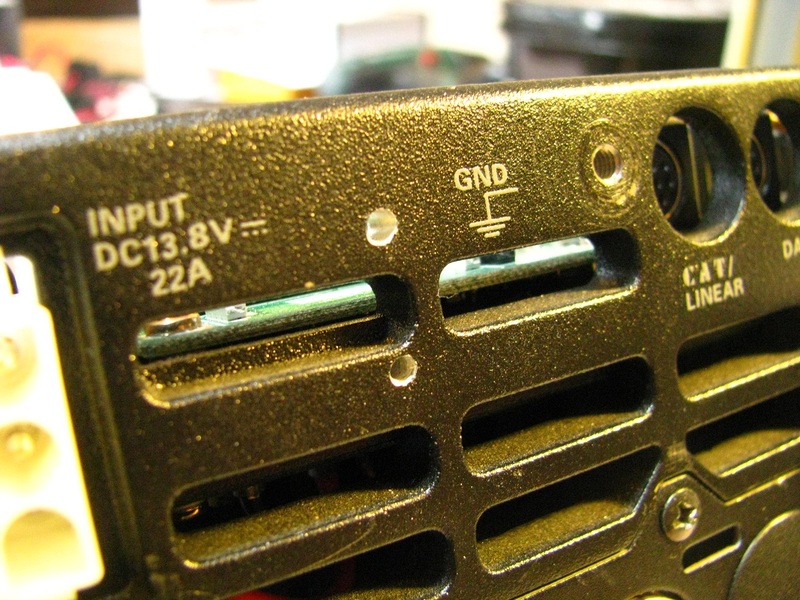 An alternative may be the one to the right in pictures 1 and 2, which has no holes for core adjustment, and gives a much shorter input connection! 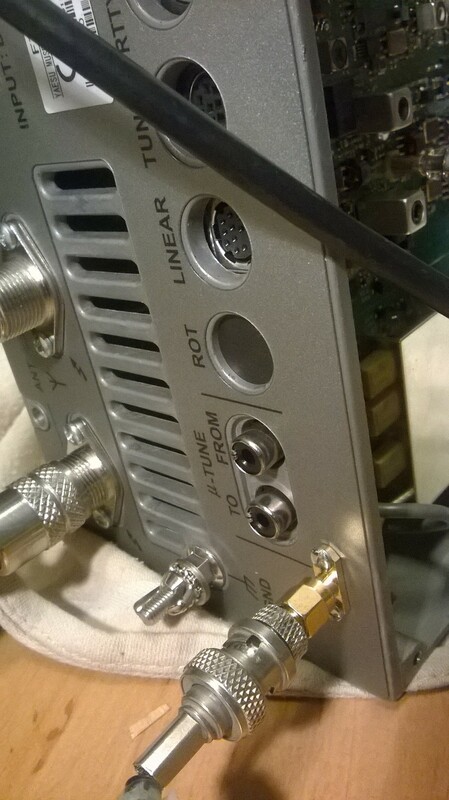 Picking up the signal at the mixer (T3023) for 2nd Rx application. 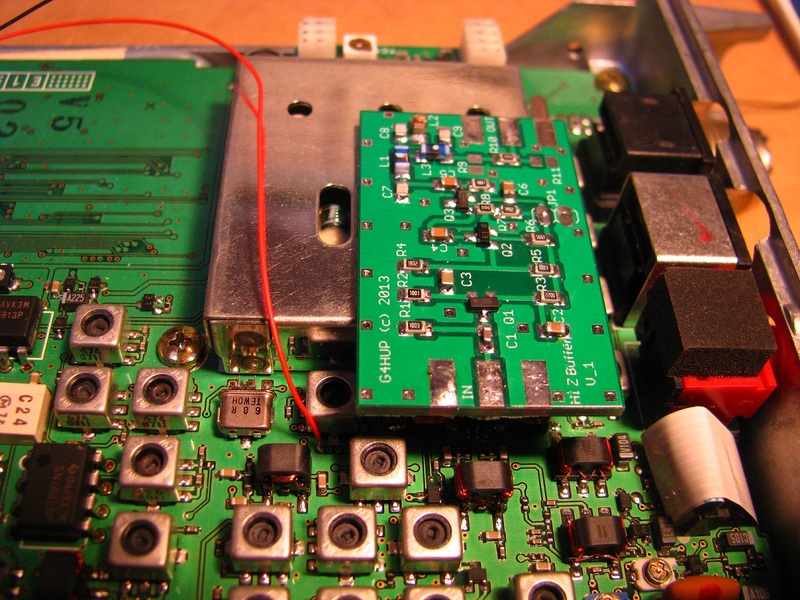 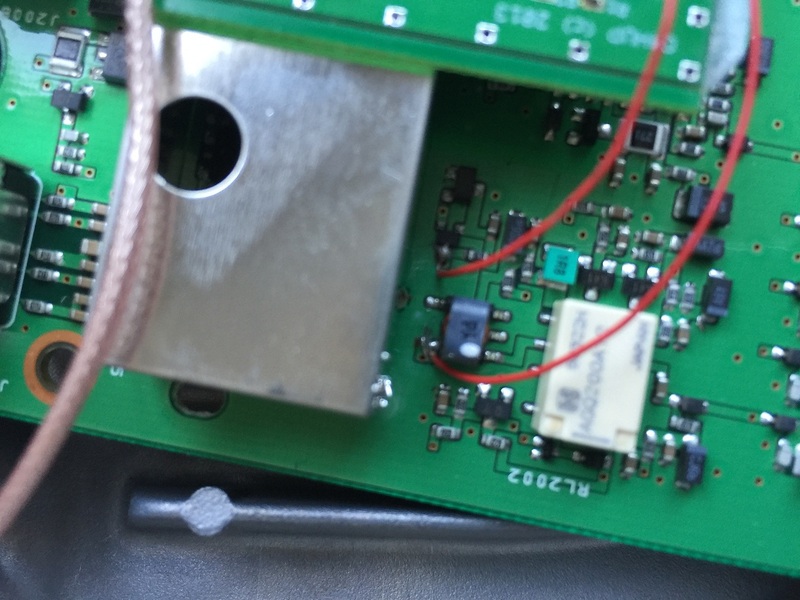 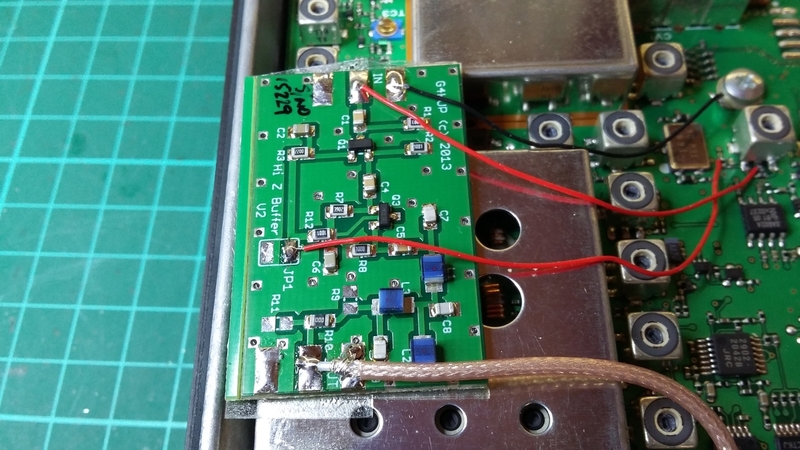 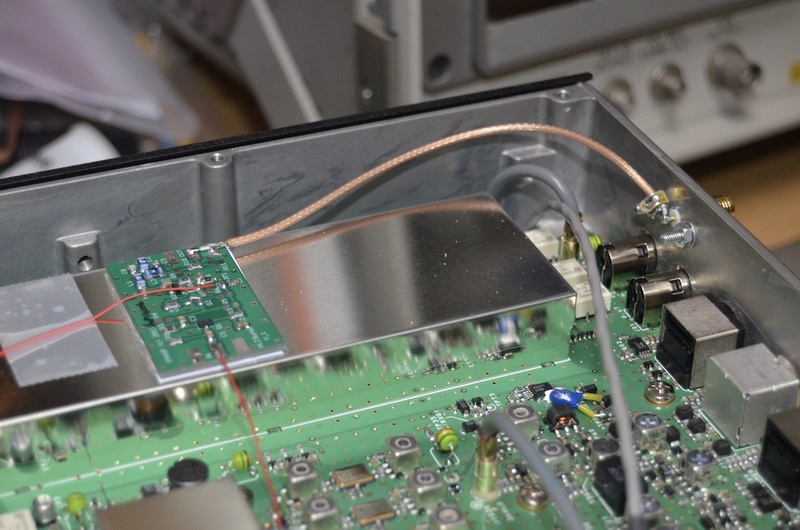 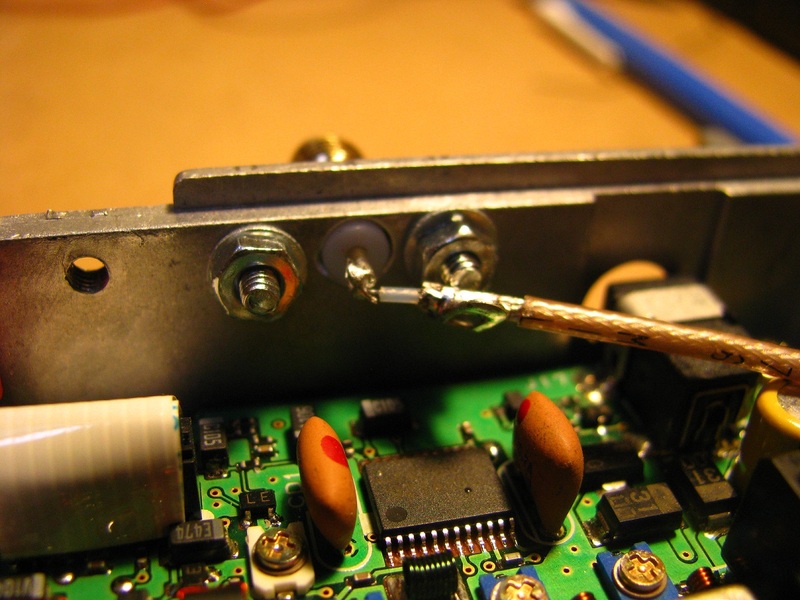 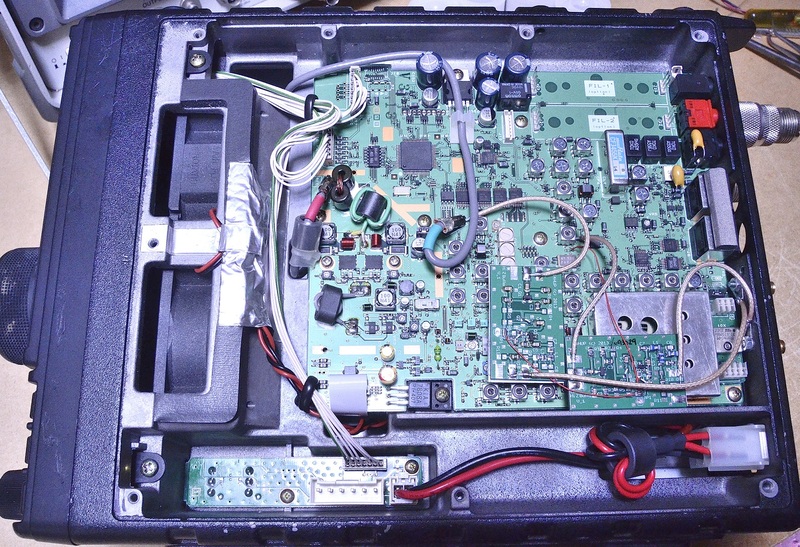 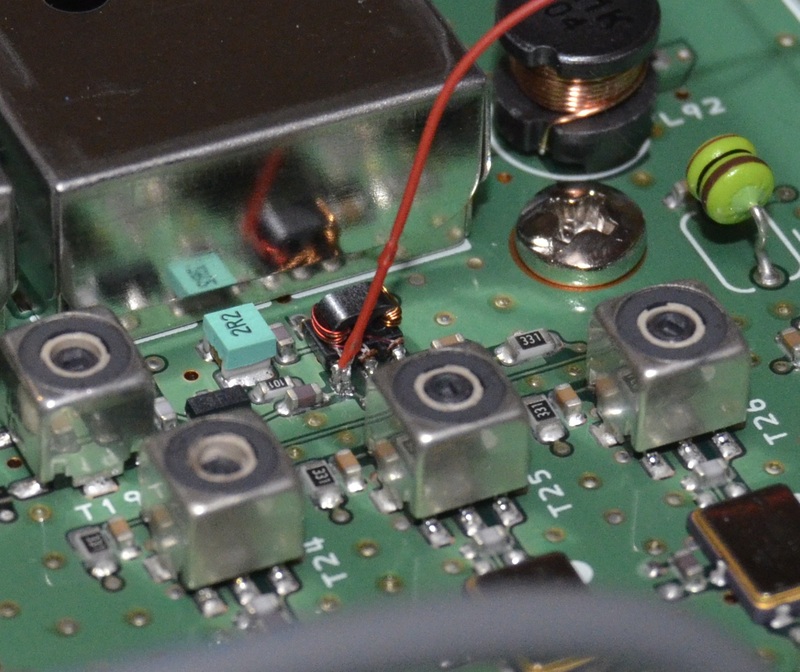 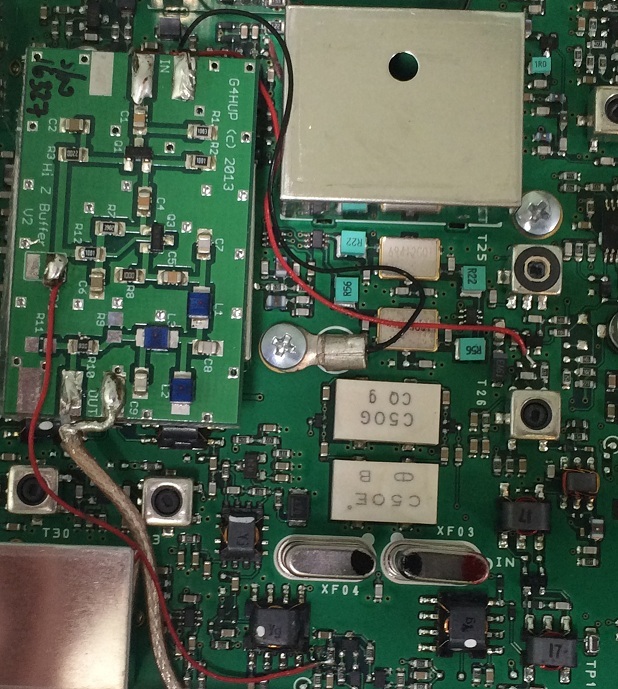 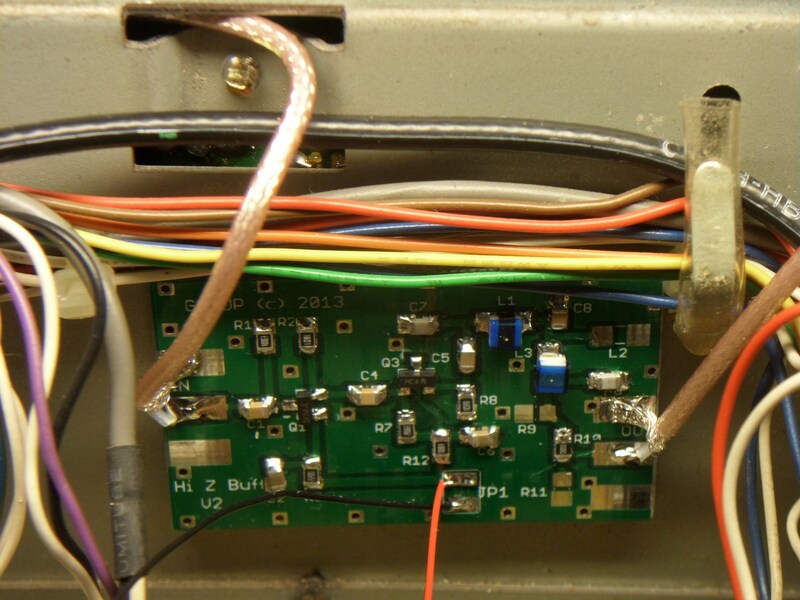 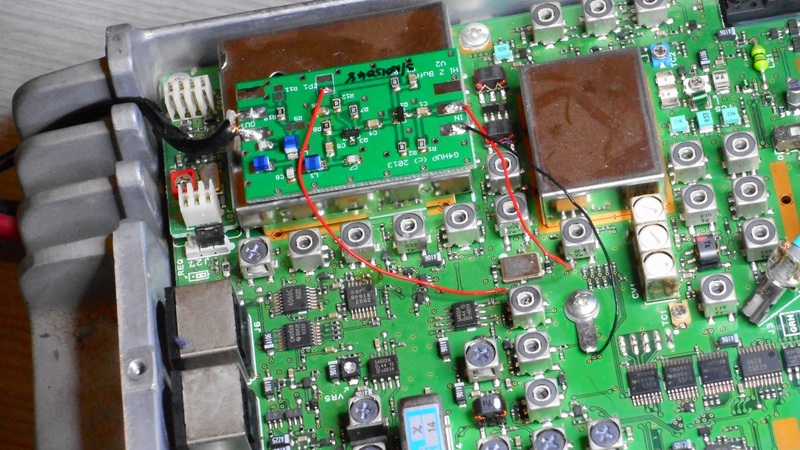 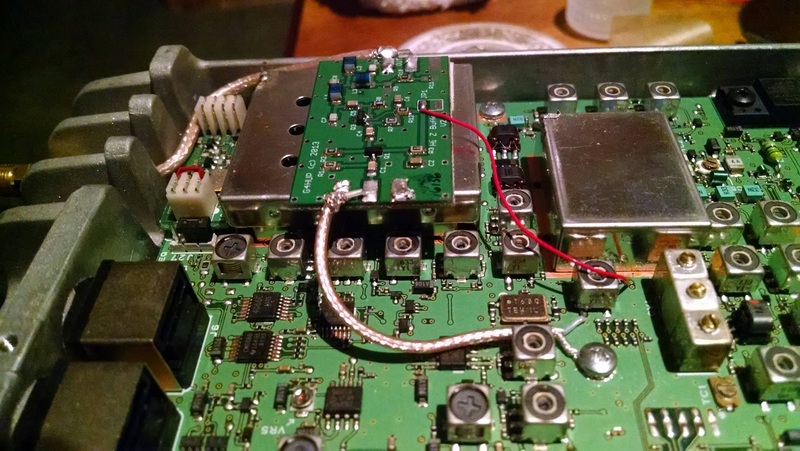 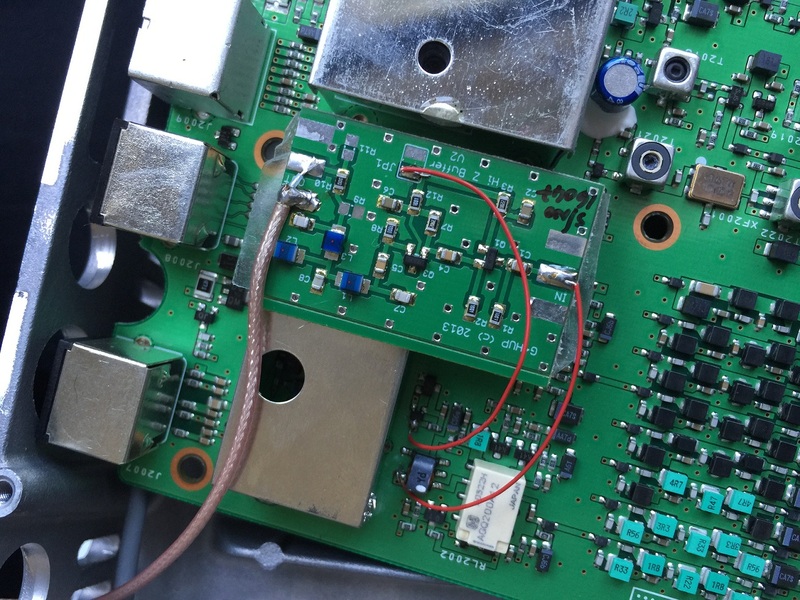 Some FT847’s have a shielding can around the mixer. 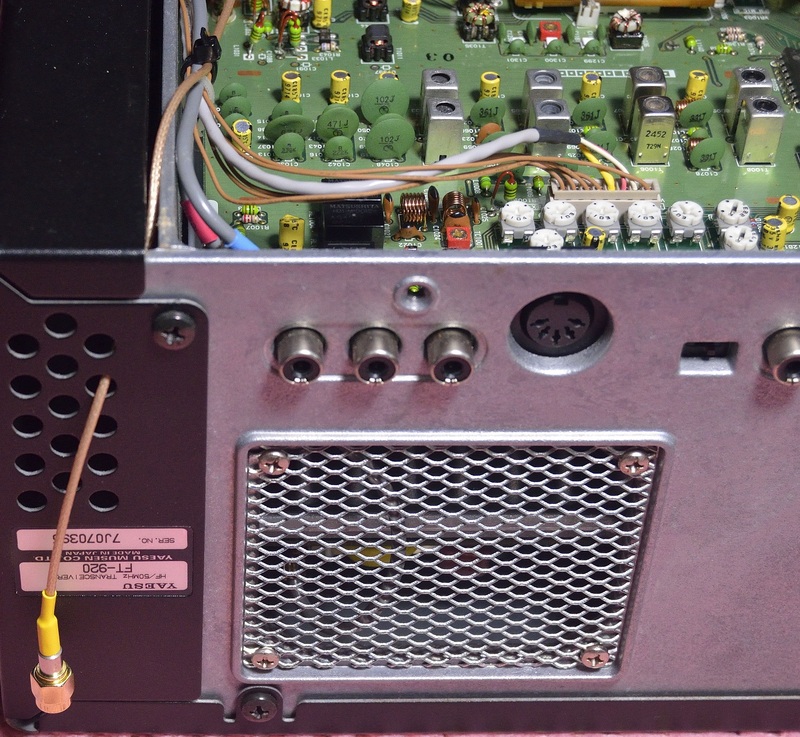 DL7AOH removed the can and drilled a hole in the side to bring the cable out. 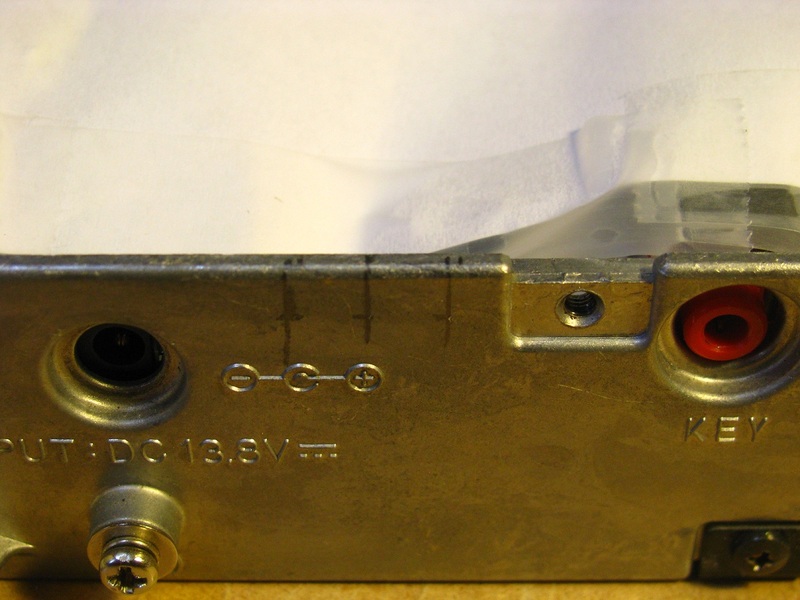 PAT in the plastic bag is a PAT-V for 2nd Rx use. 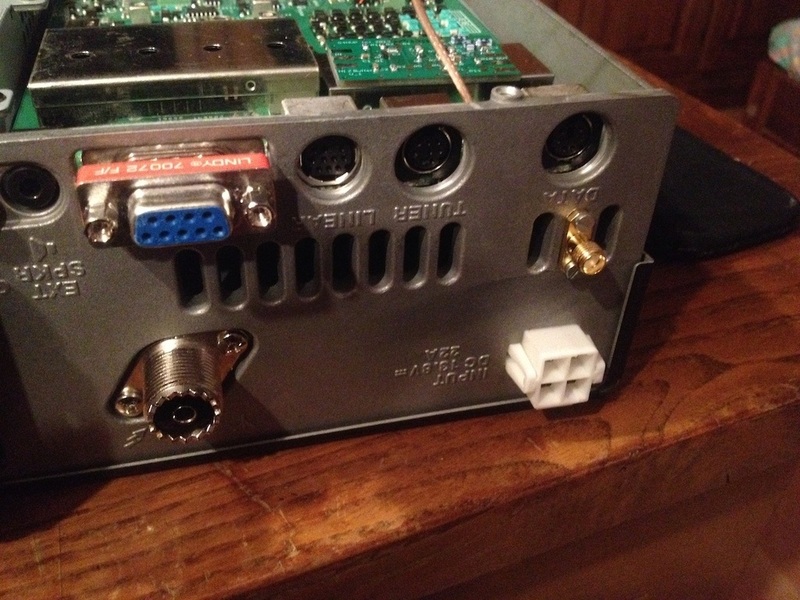 FT1000 rear panel socket mounting, by DVS-2 connector. 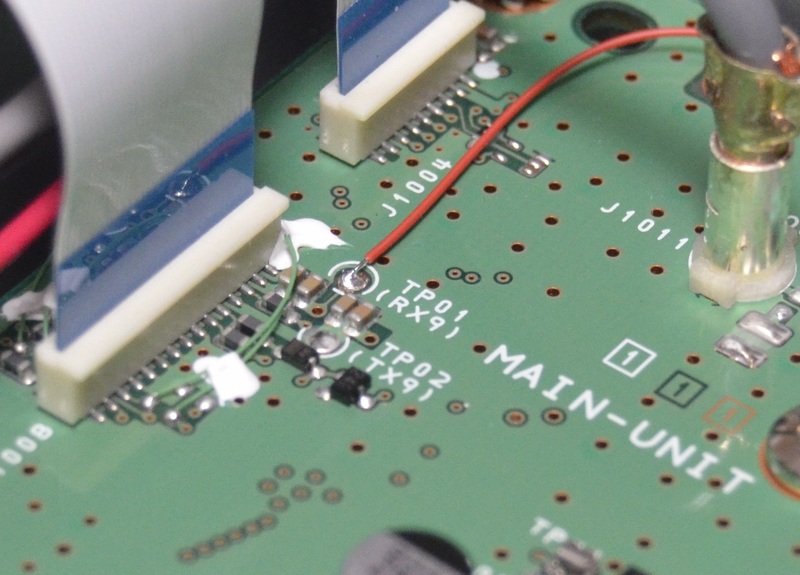 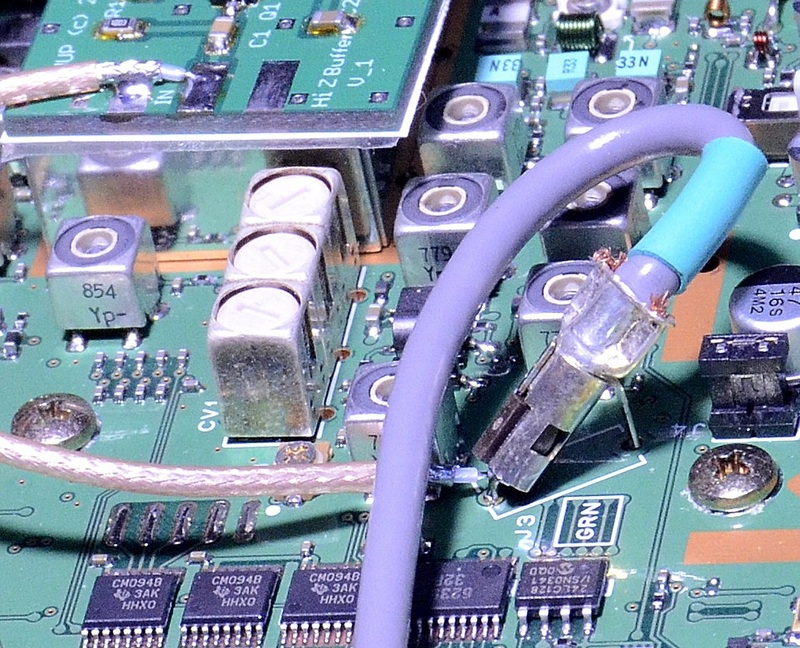 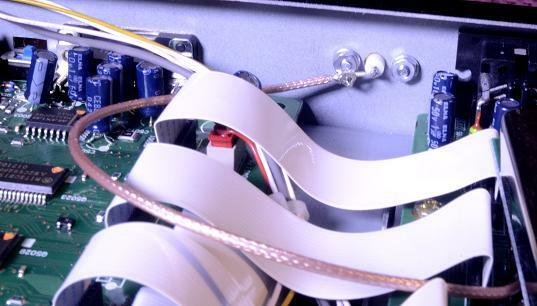 The FT000 RxB line is picked in the wiring loom, from the wire connected to J3003, pin 4. 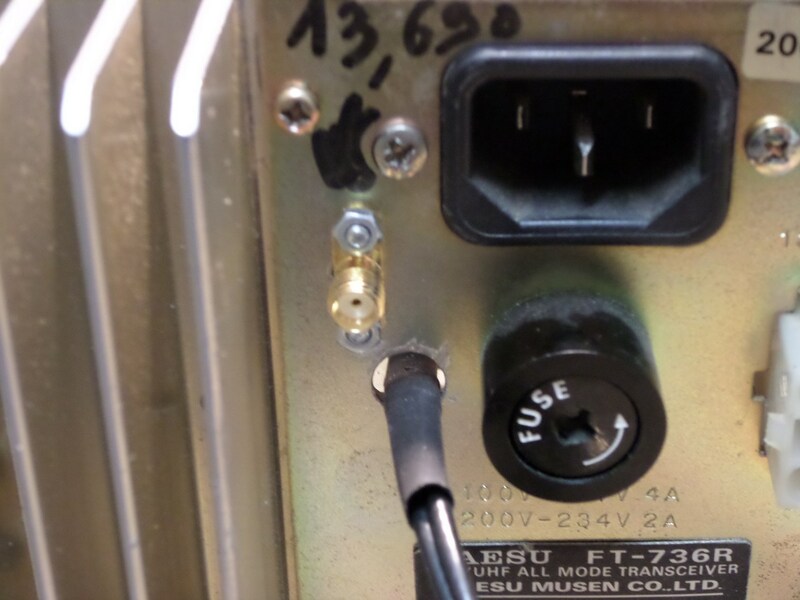 Output cable exit from FT920 via vent holes at side of rear panel. 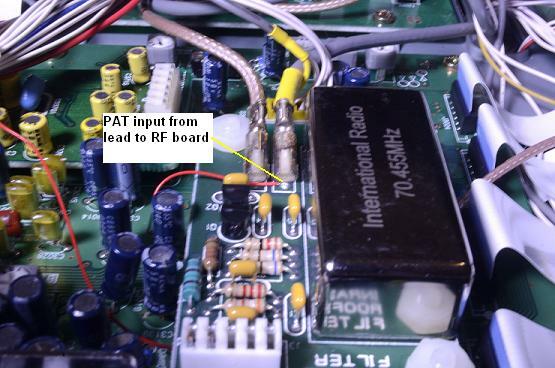 FT736 pick up detail – note that coax cable shown is NOT the PAT input connection! 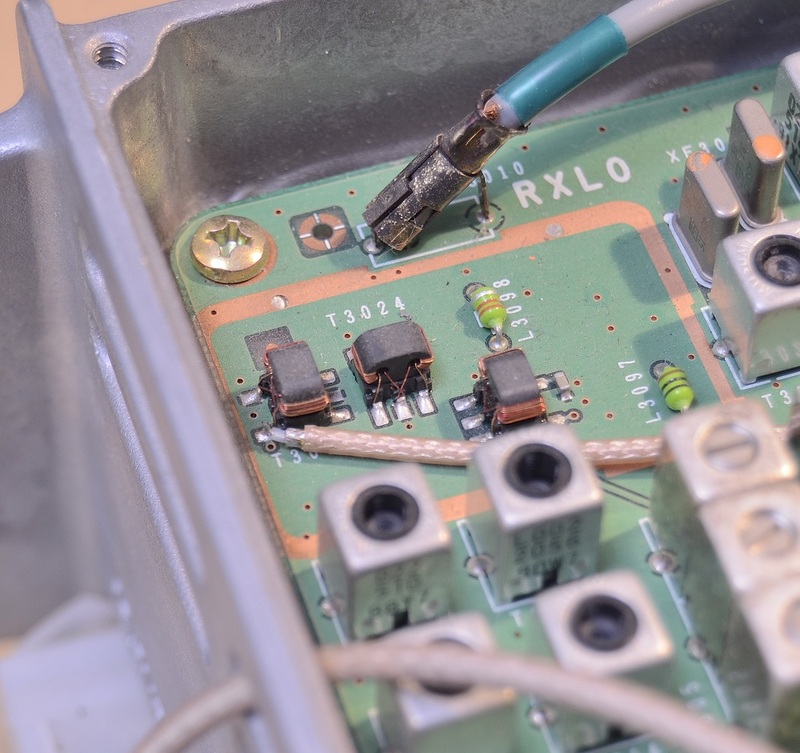 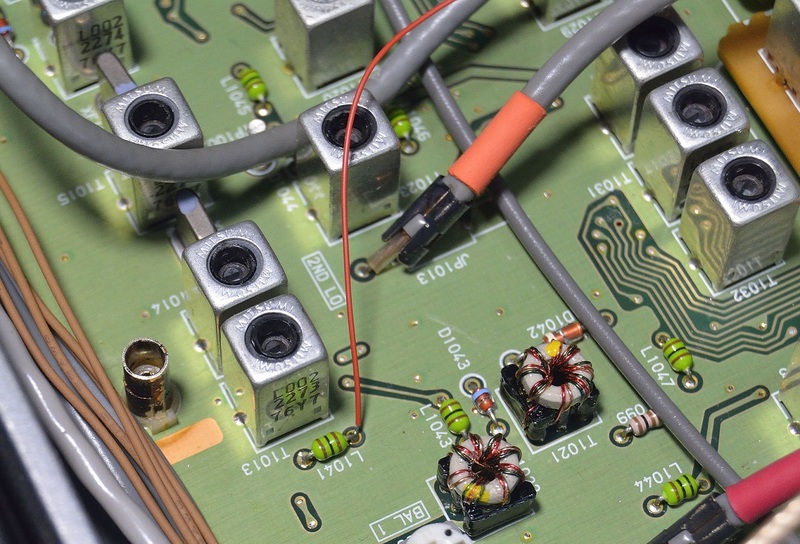 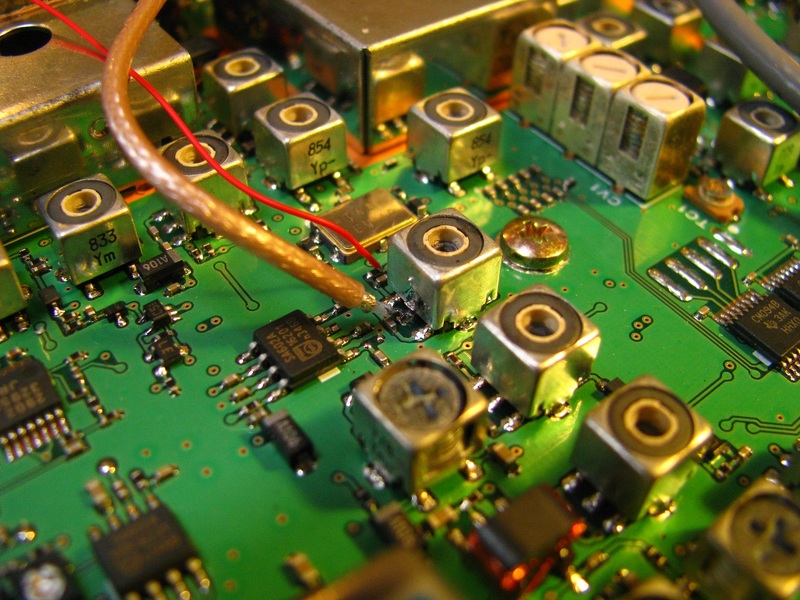 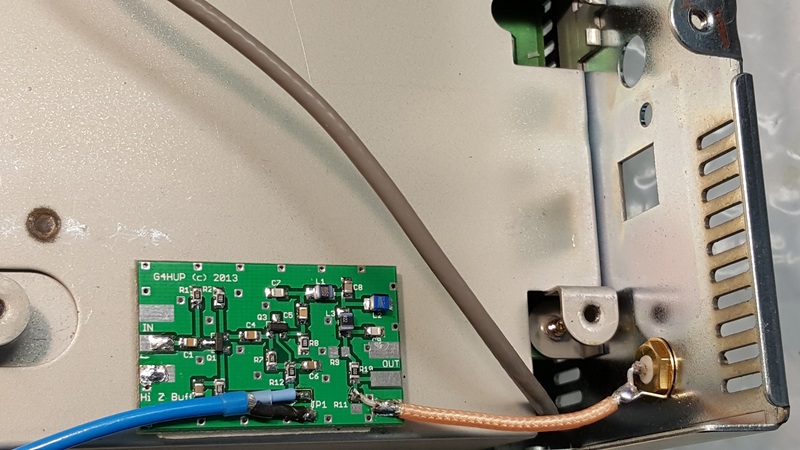 The 13.69MHz input signal for the PAT can be picked up on the hot ends of R32 or R33, or anywhere between T03 and T04 – see p16 of the FT736 Technical Supplement. 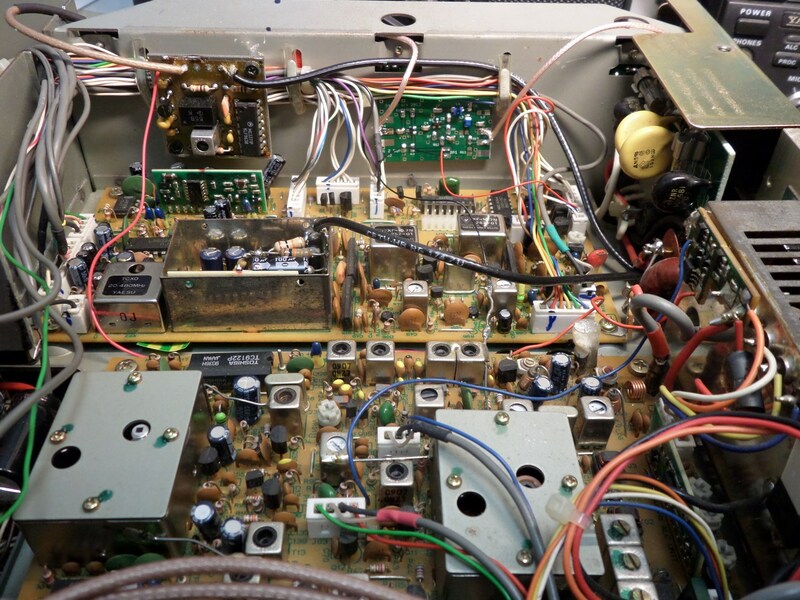 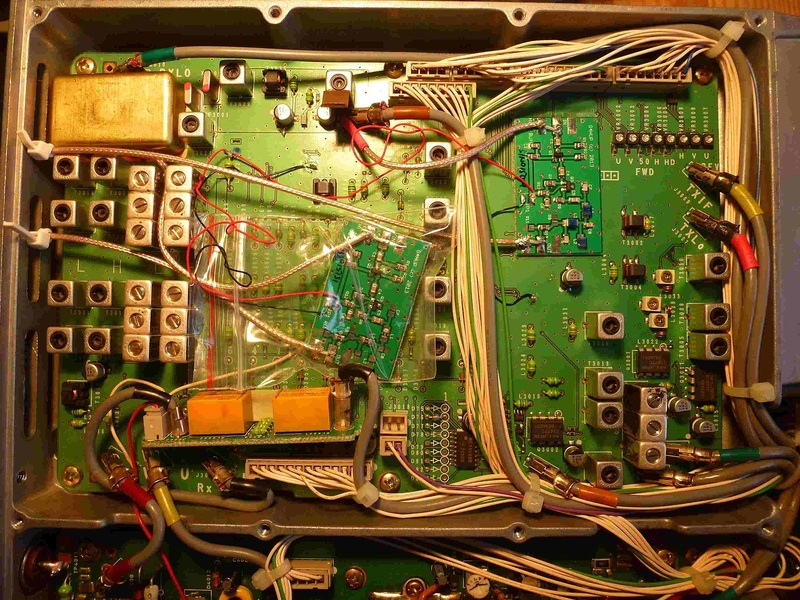 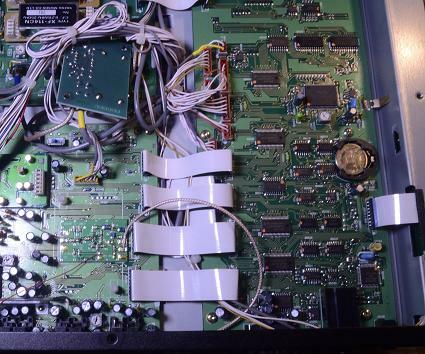 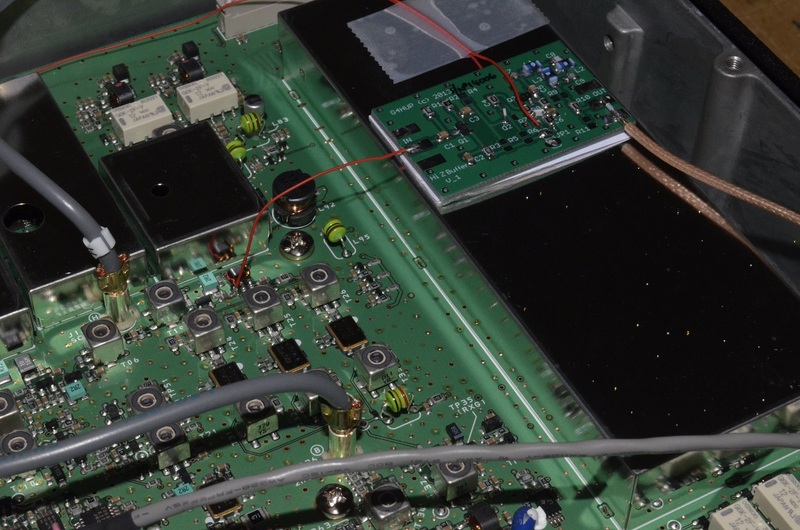 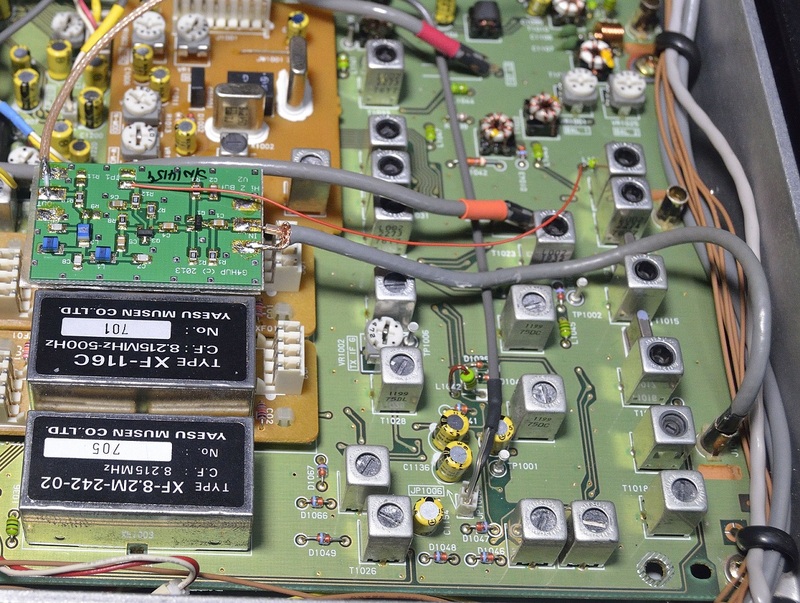 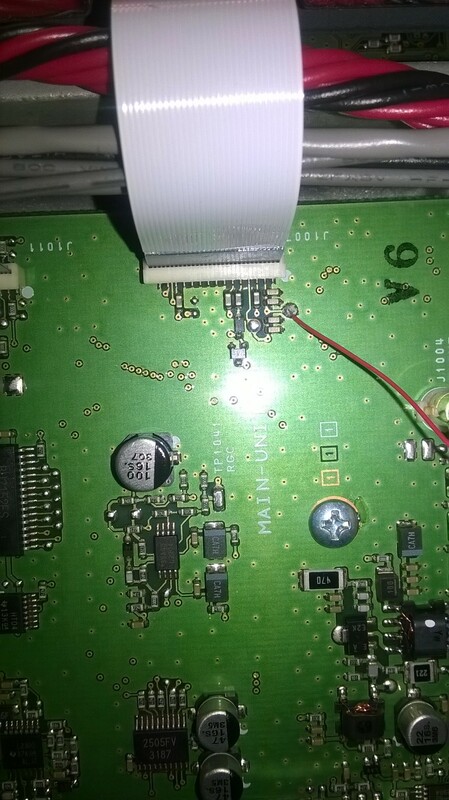 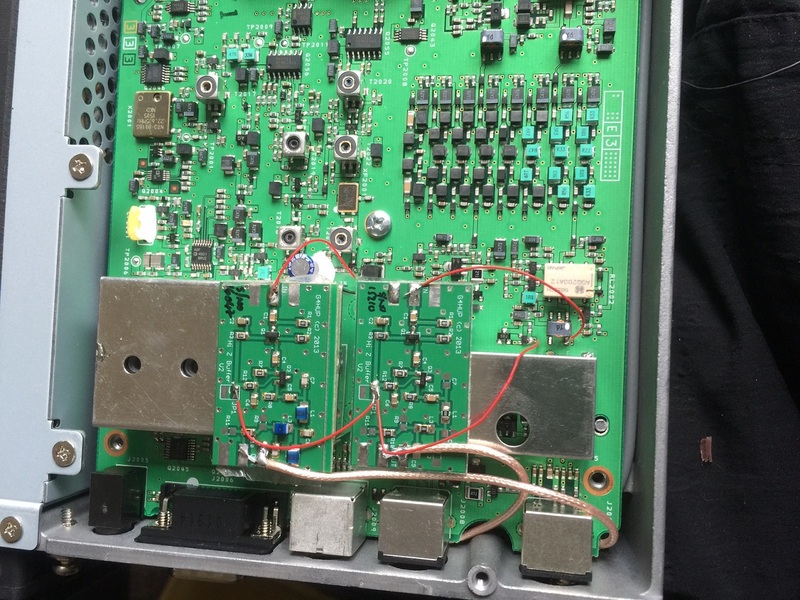 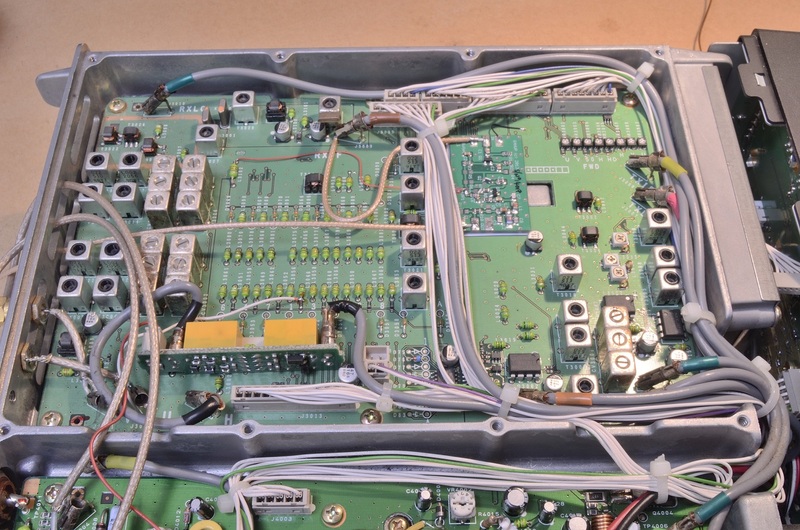 FRG-100 PAT in position – main board replaced.